‘A Night with Mario’ to help beat Heart Disease and Stroke! 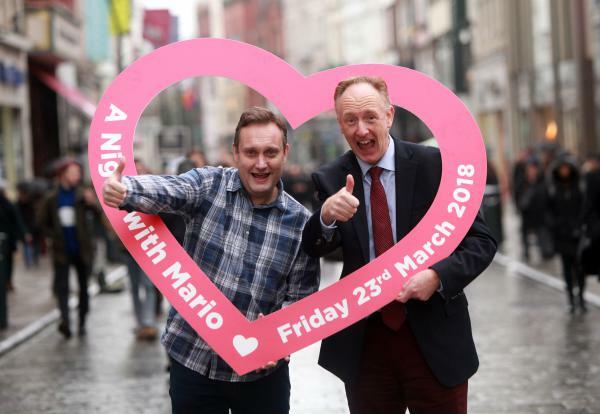 Top Irish Comedian and Impressionist Mario Rosenstock will be in Galway next month, for a ‘Night with Mario’ in the Galmont Hotel on Friday March 23rd in aid of local heart & stroke charity Croi. Pictured at the launch of the black-tie ‘Night with Mario’ which will take place in the Galmont Hotel Galway on Friday March 23rd, photo shows Mario Rosenstock of ‘Gift Grub’ fame with Neil Johnson, Croí. Tickets for a ‘Night with Mario’ which are limited, are now on sale via the link below or by calling Jessica on 091-544310. Posted in NewsLeave a Comment on ‘A Night with Mario’ to help beat Heart Disease and Stroke! 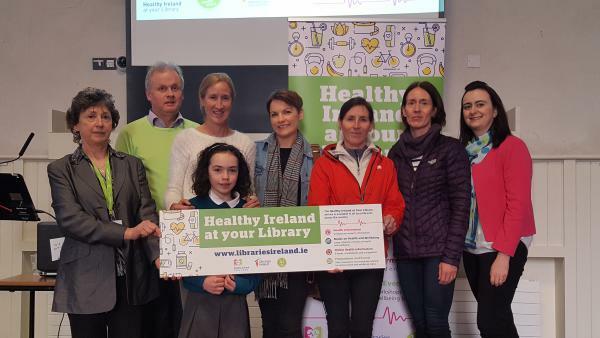 Healthy Ireland at your Library! Healthy Ireland, a Government-led initiative, is the national strategy for action to improve the health and well-being of the nation by placing a focus on prevention, individual awareness and keeping people healthy for longer. A comprehensive collection of books on health and well- being. New e-books, e-audio books and e-magazines will be accessible in every library and by remote access. This exciting initiative was launched in Ballinasloe Library on Friday 9th February at 1.30. Olympian Catherina McKiernan was the guest speaker. Posted in NewsLeave a Comment on Healthy Ireland at your Library! 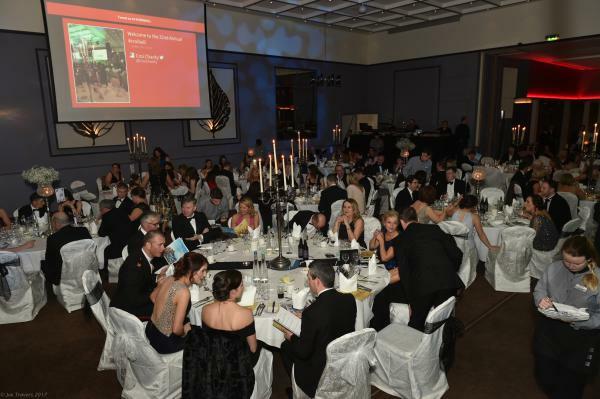 This years event promises to be a night of fun, entertainment and dancing. Following a cocktail reception, we will move straight to dinner followed by entertainment with the genius comedian/impressionist Mario Rosenstock (of ‘GiftGrub’ fame). The night will be rounded off with dancing to a top dance band followed by disco for those who want to make it a long night! Get your boots on for Croí! Come and enjoy the wild and mysterious Mayo landscape and get your walking boots on and join us on an adventure through rural County Mayo. 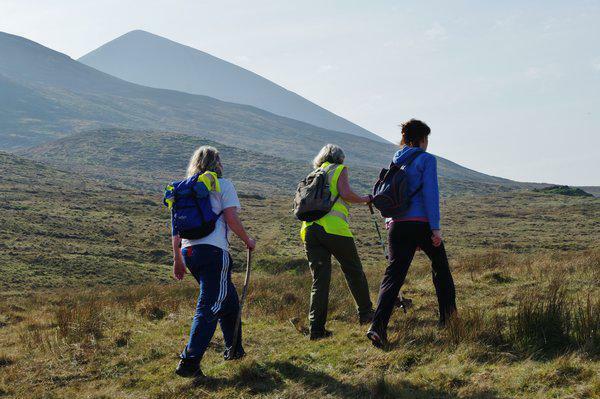 The Croagh Patrick Heritage Trail which extends from the town of Balla in central County Mayo, to the seaside village of Murrisk at the foot of Croagh Patrick, will be hosting its annual walking festival over three days – Friday 9th March, Saturday 10th March and Sunday 11th March 2018. This trail is set in a landscape that is truly inspiring, hosting a wealth of heritage that would appeal to any walker. From the starting point in Balla, the trail passes through deciduous woodland and across rolling fields and bogs. Walkers can discover boreens and ancient pathways as the trail makes its way through a number of picturesque villages towards its destination on the shores of Clew Bay.The Festival Programme includes 3 great days of guided moderate to hard walks, visiting heritage sites, and hearing the local myths and legends from our experienced guides, Registration is €20 per day or €50 for three days. Note: Children under 12 are not permitted on the trail. For more information email info@croaghpatrickheritagetrail.com or call Clogher Office on 094 9030687. Posted in NewsLeave a Comment on Get your boots on for Croí! Living with Heart Disease – the road to recovery! Have you recently been diagnosed with heart disease? Suffered a heart attack or stroke? Had a stent fitted or had bypass or heart valve surgery? 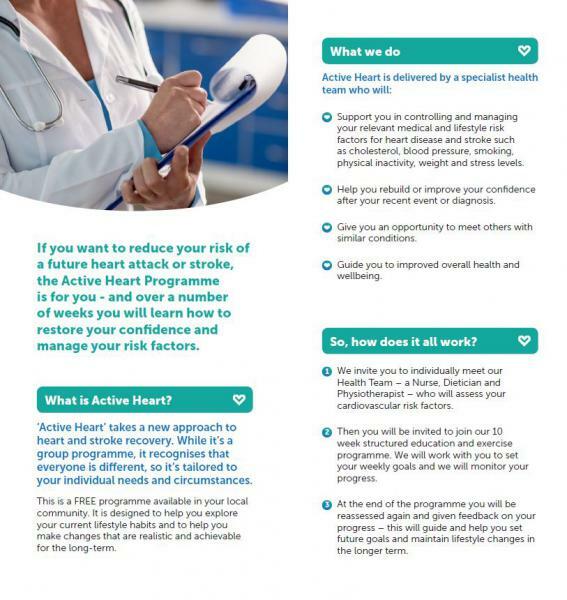 If the answer is Yes to any of these questions, then you would benefit from attending a lifestyle and education programme called Active Heart focused on risk factor reduction and modification in the Croi Heart & Stroke Centre, Newcastle, Galway. Following a new diagnosis of heart disease or after a recent cardiac event you are often left confused and may have lost your confidence and/or be struggling to get back to work or the normal activities of daily living. When you are discharged from hospital it’s difficult to know where to turn to for up to date advice, guidance and information on your condition. Once you have been diagnosed with heart disease, it’s important to understand your condition and learn what lifestyle and other changes you need to make so as to reduce your risk of a future heart attack or stroke. Croi works towards promoting awareness of how to manage and reduce cardiovascular risk factors so as to reduce the likelihood of future events such as heart attack or stroke. Living More Confidently with your Implantable Cardioverter Defibrillator (ICD). Croí and the Department of Cardiology at Galway University Hospital are delighted to invite you to a special information event called ‘Living More Confidently With Your ICD’ on Saturday, 25th November 2017 at 10am. 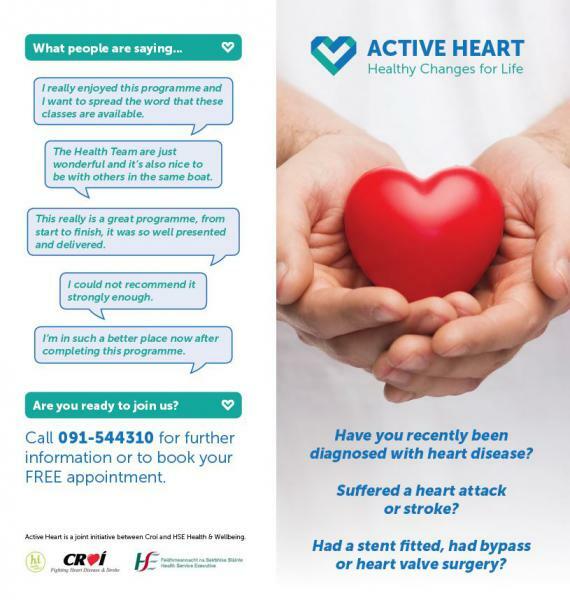 This information morning will include presentations and questions & answers sessions from Dr Pat Nash (Consultant Cardiologist, Galway University Hospital) Paul Nolan (Leading ICD Cardiac Physiologist, Galway University Hospital) and Denise Dunne (Croí Specialist Cardiac Physiotherapist) promising to be highly informative for anyone with an ICD themselves and indeed their family and friends who would like to know more. We would be delighted if you could attend this important educational event and avail of a great opportunity to listen to and interact with leading experts in this area. Limited places are available so I would urge you to call Croí on 091 544310 to confirm your place. We look forward to welcoming you to the Croí Heart and Stroke Centre. Posted in NewsLeave a Comment on Living More Confidently with your Implantable Cardioverter Defibrillator (ICD).